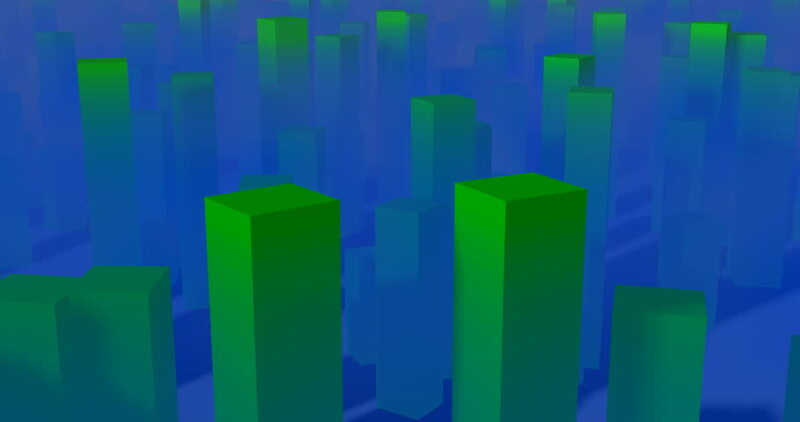 Stylized cubic green 3d city , buildings, sky scrapers in light blue fog, mist. Camera view moving forward into scene. 3d animation, render. hd00:14Audio wave forms/equaliser background, seamless loopable. 4k00:16Flashing light on blue background. Flashing interference. Glitch effect.